There are several factors to consider before selling a loose diamond on the market. First, it’s important to realize that you will be offering your diamond for sale on the wholesale market. This means that it will have to be resold on the retail market by a wholesaler or a jeweler. If you are interested in selling your diamond to a jeweler or a wholesale diamond dealer, you should understand the difference between wholesale and retail prices. 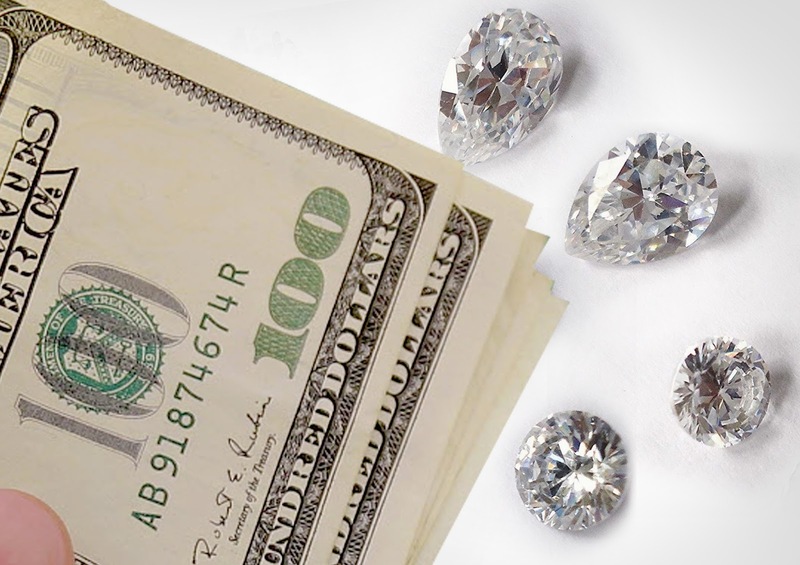 Jewelers and wholesalers pay slightly below the retail price of a diamond in order to realize a profit on the eventual retail transaction. The monetary value of this price difference will vary with the size and quality of the diamond being sold on the market. Wholesale diamond sellers offer a very big advantage; they can quickly offer you the best wholesale price in a very short amount of time. It’s important that you know all of the characteristics of your diamond. For instance, the carat weight, cut, color and clarity of the diamond are aspects of your diamond that you should be familiar with. All of these characteristics affect the price of a loose diamond. Many diamonds on the market today are sold with GIA certificates. If you have one of these, it’s easy to market the diamond to a dealer by simply producing this certificate. If you don’t have a GIA certificate, many wholesale diamond dealers are qualified to assess the value of your diamond because they have the proper certifications to evaluate the distinct characteristics of loose diamonds. Where Should I Sell My Diamond? Big retailers such as eBay offer a platform for selling diamonds and all types of jewelry. You could even sell the diamond on Craigslist. However, these types of transactions can be extremely risky. Additionally, they probably won’t provide you with the best price or the quickest transaction. The best way to sell your diamond is through a certified diamond dealer that can be trusted. If you are interested in selling your diamond online, use an established website that has the proper credentials to evaluate loose diamonds. Additionally, many wholesale diamond websites can be researched for reviews. Websites such as Yelp can be of great assistance to you. Customers use Yelp to convey their personal experiences with businesses both online and in person. Reading these reviews can help you to verify the trustworthiness of a wholesale diamond dealer. One of the best ways to find diamond buyers in your area is to Google them to locate both their physical addresses and their websites. For instance, if you live in Los Angeles, type “Los Angeles diamond buyer” into the Google search engine. This should bring up a listing of the certified diamond dealers in your city. Consider all of the aforementioned guidelines before attempting to sell diamonds. These tips will help you to get the best wholesale price and the quickest sale for loose diamonds.